Have you ever owned a product that was so useful, reliable and fun to use that you could not imagine what it would be like if you didn’t have it? For the last 2 years, that product, at least for me, has been the DJI Mavic Pro. I have used the Mavic Pro extensively over the last 2 years for both work and pleasure. I have traveled with it and captured amazing images in ways that would not have been possible without it. 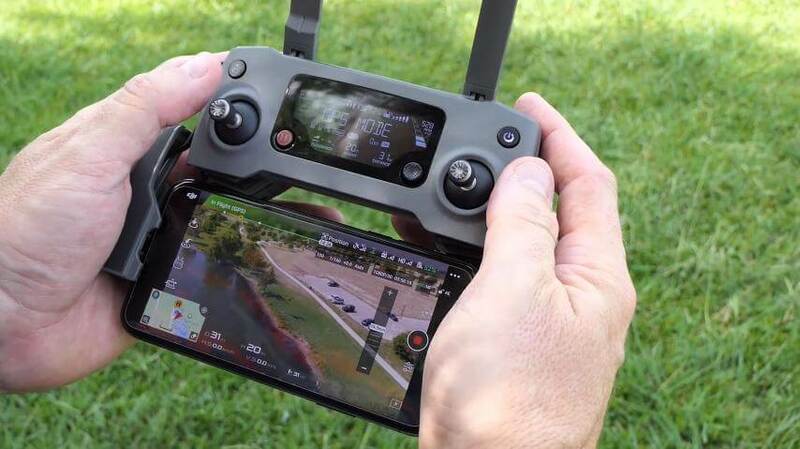 So, when I learned about DJI’s release of the Mavic 2, I have to admit that I was intrigued. How could they take something that was such a big part of my everyday life and change it? Would it truly be an improvement or just a repackaging with some trivial differences? Well, I found out, and I’m here to share that experience with you. 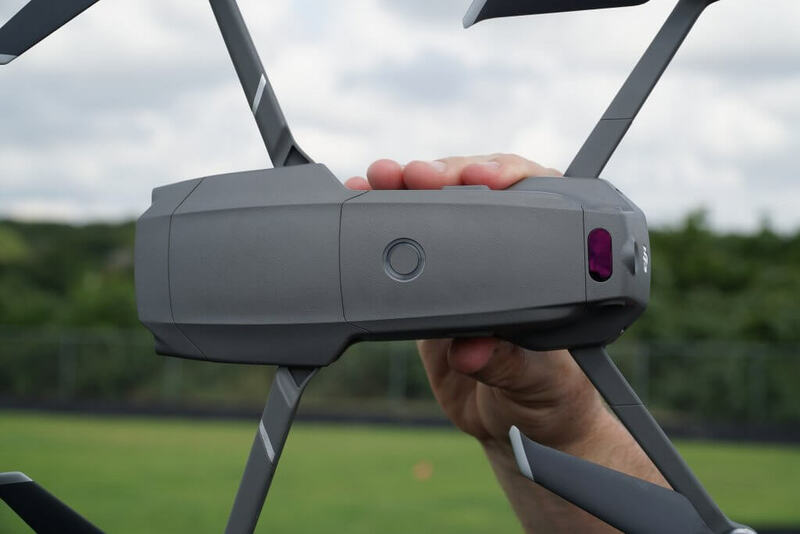 The Mavic 2 Zoom is the latest iteration of the Mavic series. DJI has built on the tremendous success and popularity of the Mavic Pro and Mavic Pro Platinum to offer more choices for creative people. On one hand is the Mavic Air, which is designed for more casual or entry-level drone pilots. 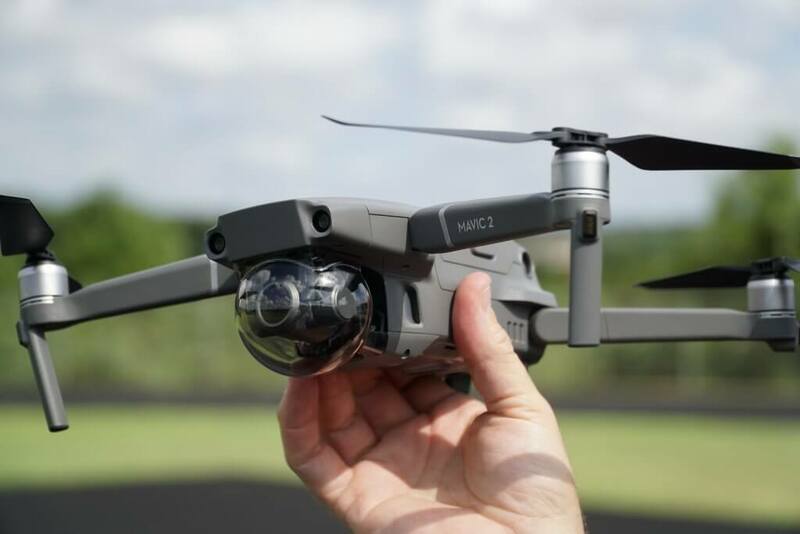 The Mavic Air is extremely portable, utilizes DJI’s extensive knowledge of flight and image capture, and is at a price that makes it very affordable to get into flying drones. 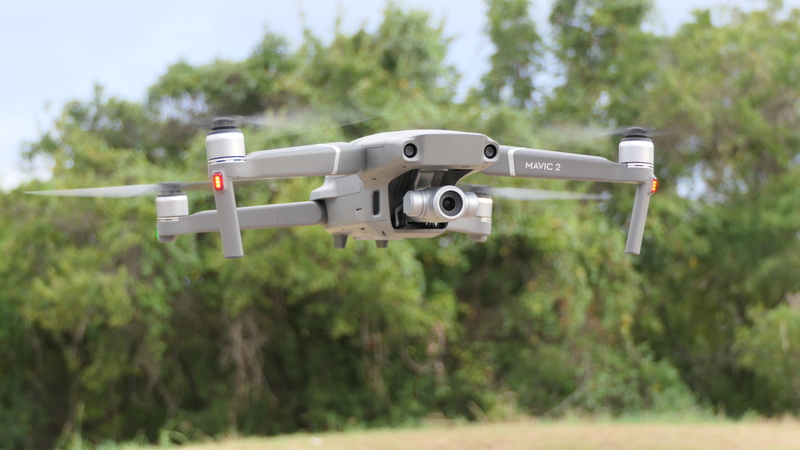 (For more details, you can read my article about Mavic Air in-depth Review) On the other hand, DJI is offering the Mavic 2 series as a drone for more demanding or experienced drone pilots. 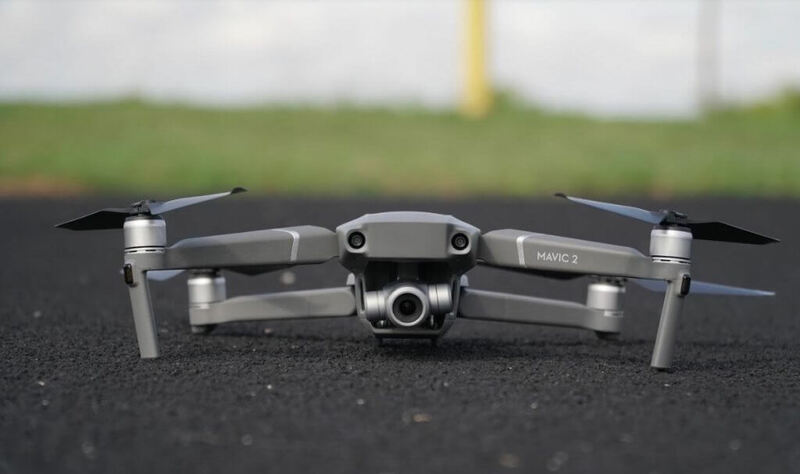 The Mavic 2 series has higher image quality, stabilization, and longer flight times than almost any other consumer drone available today. In other words, the Mavic 2 series is designed for people who want to push their creativity to the limits! The first thing I noticed is the Mavic 2’s new look. While its basic folding design and size are very similar to the Mavic Pro, it is much sleeker and solid looking. Its lines have been refined, making it look more like a sports car than a utility vehicle. The arms still fold out the same way but are slightly larger and very solid feeling. The camera and gimbal are tucked under the front of the drone offering more protection while on the ground. And the sensors are placed all around the drone, giving it the look of something from a science fiction movie. But believe me, there is no “fiction” on this drone! Every part, every surface, and every design element plays a role in its performance. The front landing gear houses antennas. The ventilation slots on the sides help circulate air to keep the drone cooler during flight. Even the design of the motors has been upgraded to give you more power. In general, DJI has used the solid foundation of the Mavic Pro and made subtle, but noticeable improvements across the board. One big change that you’ll notice is the battery. Not only does it look different, with round LEDs to indicate the charge level, it also packs more power than the original. 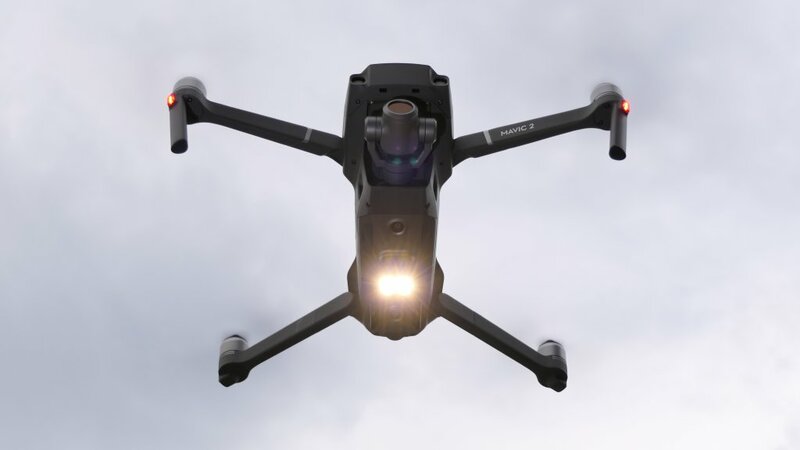 This increased power is necessary to give the slightly heavier Mavic 2 more flight time than the original – up to 31 minutes in ideal conditions. 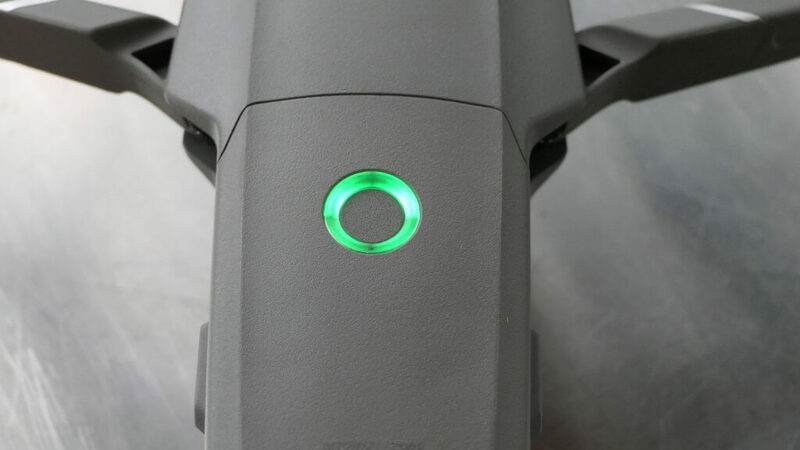 The battery fits into the drone with a satisfying “click” that tells you it is locked in place. DJI offers an adapter that will turn your single battery charger into one that will charge four batteries at once. The next thing you’ll notice is a slight change to the propellers. 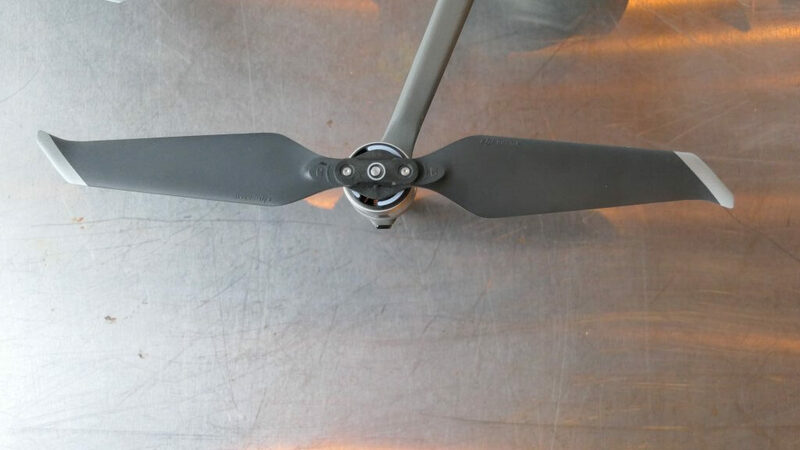 It looks like DJI has tweaked the last propellers they developed for the Mavic Pro Platinum slightly in order to reduce noise and increase flight time even further. Finally, you will definitely notice the new gimbal and gimbal cover design. The new gimbal cover is easy to put on and take off, plus, it is a single piece, so no worries about keeping track of multiple parts when you take it off. I was glad to see that the folded size is very close to the original Mavic Pro size when folded. This means that you should be able to use the same carrying case for the Mavic 2 that works with the Mavic Pro. I am currently carrying my Mavic 2 Zoom in a case that I originally bought for my Mavic Pro almost 2 years ago! 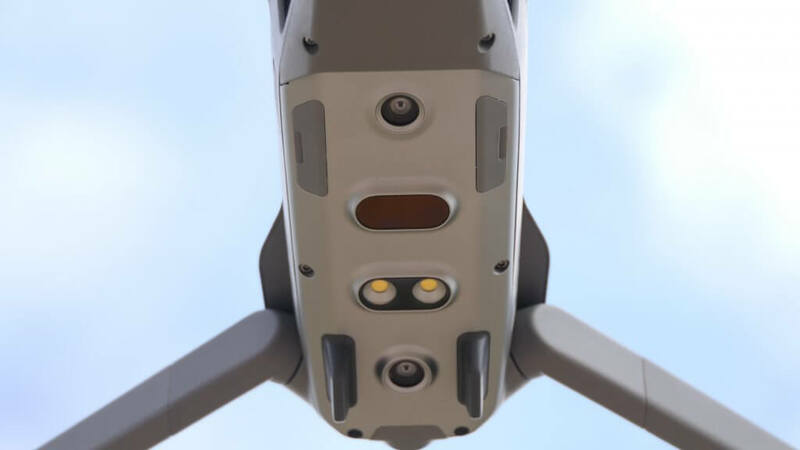 Another innovation that the Mavic 2 offers is a pair of very bright LED lights on the bottom of the aircraft. These LEDs are designed to help you keep the visual line of sight with the aircraft during flight and can be seen in both daylight and darkness. But they also serve a second, and perhaps more important role. They are designed to help the downward facing sensors with precision landing both with and without GPS, which is great for indoor flights! And speaking of sensors, the Mavic 2 is loaded with them. It features obstacle sensors in all directions – front, back, up, down, left and right (Obstacle sensing for left/right only work with ActivaTrack and Tripod modes). Of course, no obstacle sensor is foolproof, so you still need to pay close attention during flight, but having sensors in all directions is a tremendous improvement over previous generations of drones and certainly provides peace of mind to pilots who may be flying in tight spaces! 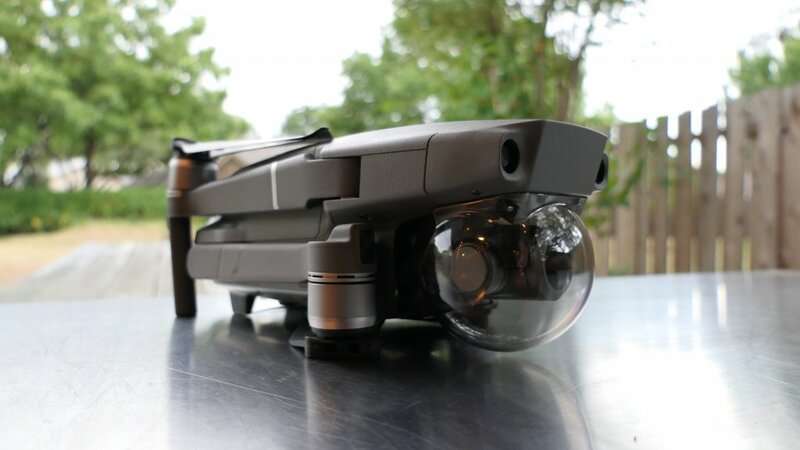 Of course, the Mavic 2 Zoom’s name is a pretty clear indication of what its “superpower” is: the ability to zoom both optically and digitally for new perspectives in video and photography. The Mavic 2 Zoom has a 24 – 48 mm lens with a smooth wheel-based control (the same kind of wheel you use to pivot the camera) that totally changes the way you will shoot video. You can capture unique scenes at a distance with its 4 X Lossless Zoom Full HD video. I honestly never thought that a zoom would be necessary on a drone because you can always fly closer to the subject. But after just a month of playing with it, I find that now I am setting up shots in a completely different and better way than I did before I had this ability to zoom. To me, it is a game changer! 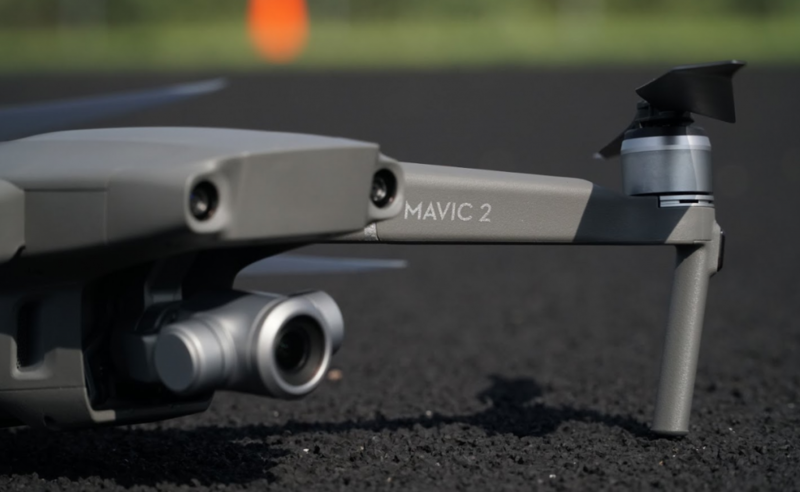 In addition to the hardware updates, the Mavic 2 series has a variety of software updates that greatly enhance the flying and photography experience. One big thing is the next generation of OcuSync which is designed to transmit live video for up to 8km at 1080p! This upgrade in OcuSync also means that you can save your original resolution photos directly to your mobile device during flight and don’t have to pull them off the micro SD card. This is great for social media posting or sharing photos as they happen. DJI has also updated its software to offer a variety of new photo and video options. 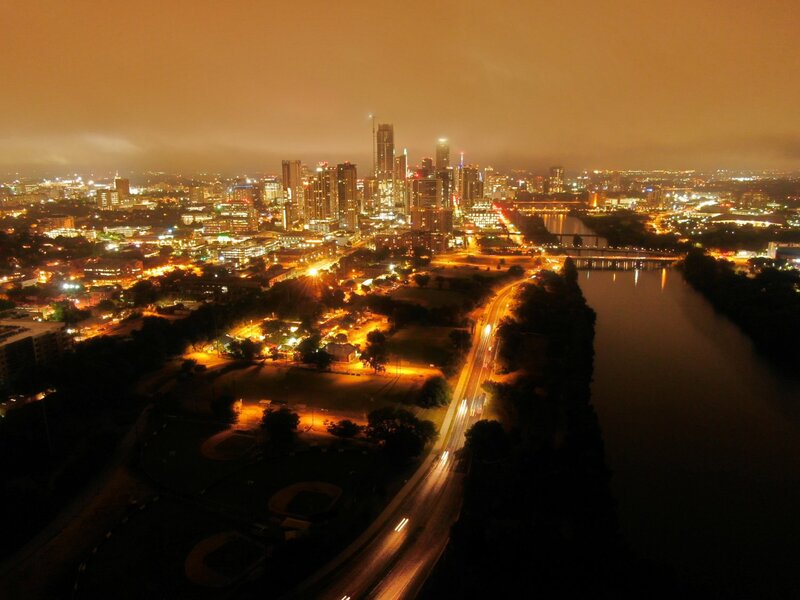 In photography, the Mavic 2 Zoom supports “Super Resolution” which creates 48-megapixel images when taking a picture with a 24 mm equivalent field-of-view, “Enhanced HDR” which shoots in high dynamic range with 13 exposure values used in each image, and “HyperLight” is optimized HDR for low light situations. On the video front, the Mavic 2 Zoom offers all the original “Quickshots” introduced by the Mavic Air (Asteroid, Helix, etc.) as well as some new ones. “Dolly-Zoom” moves the camera away from the subject while zooming in on the subject at the same time. This creates a very unique effect with the background shifting but the subject staying the same. And my favorite new video feature is “Hyperlapse”. 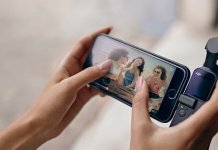 This feature allows you to create very smooth moving time-lapse videos using a variety of methods. I’m very excited about Hyperlapse because I have tried to create this effect in the past manually with limited success. 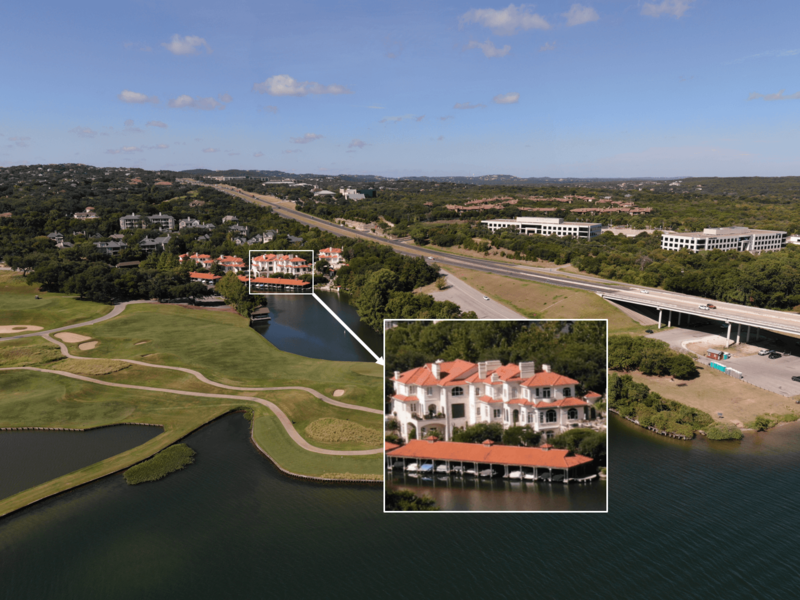 The built-in Quickshot takes care of everything for you – from positioning the drone – to the smooth flight – to assembling all the images (taken at precise intervals) into a smooth video file! And you can preview the hyperlapse on your phone shortly after you take it! With the Mavic 2 series hitting the market, I’m very excited to see what creators, photographers, and world travelers will do with it. 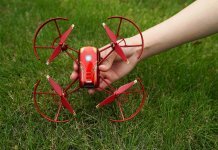 And I’m also excited to see such an amazing drone in the hands of everyday people like me. DJI has once again raised the bar in terms of performance and portability with the Mavic 2. Whether or not it’s the right drone for you really depends on how far you want to take your creativity. The key is to remember that you have options. The original Mavic Pro and Mavic Air are both fine drones and should not be dismissed. 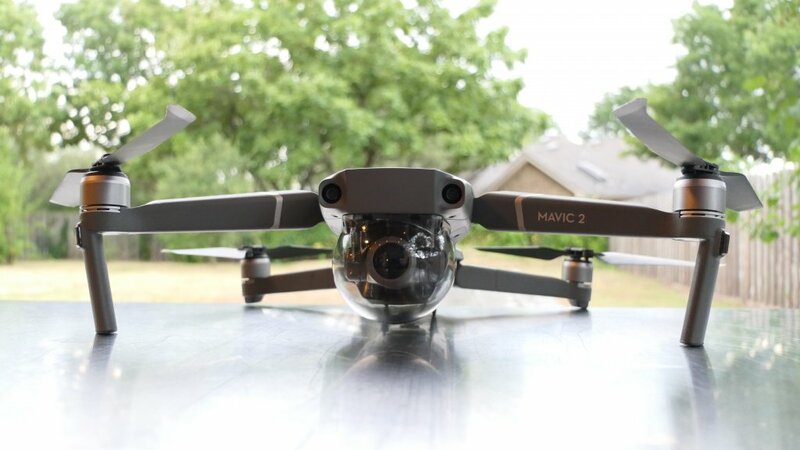 But if you want the latest and most innovative drone on the market, I highly recommend that you check out the Mavic 2! 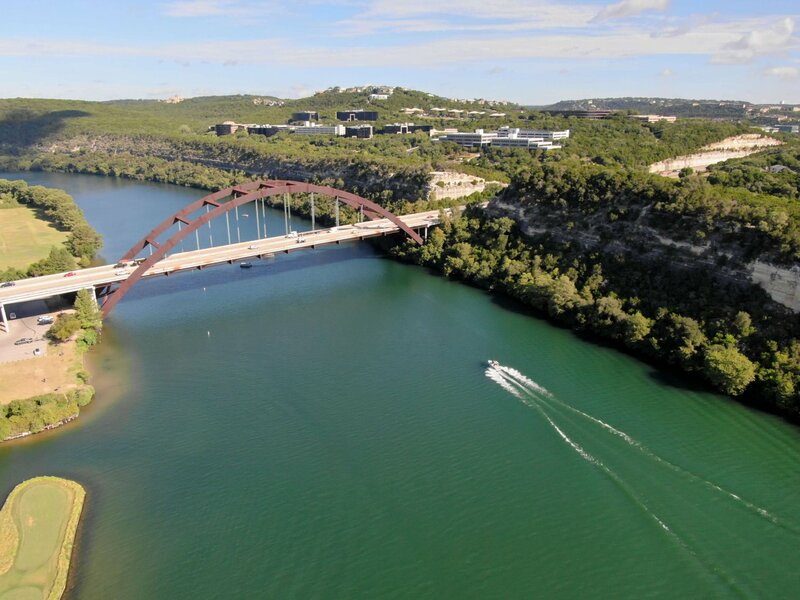 With a drone like this under your control, your creative vision is sure to reach new heights! Kelly Shores lives in Austin, Texas with his wife and two children. He runs a video production company called Sparksight. Kelly is an avid mountain biker and photographer who loves to document his adventures with family and friends. Kelly also enjoys FPV racing as well as building and fixing drones. He runs the popular You Tube channel Ready Set Drone and is contantly amazed by the rapid pace of techonology in the drone industry.